The funnest minute on Facebook has had some major changes in the past couple of months. If you’ve never played Belejewled Blitz, it’s a quick, easy puzzle game and it’s completely habit forming. Facebook games like this are an excellent way to ease into gaming online. If this wets your whistle you may want to try other free games like Evony or Gaia Online. 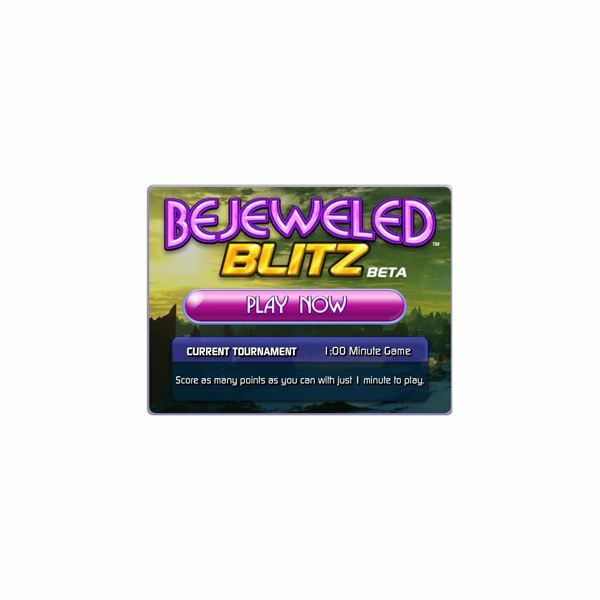 The concept behind Bejeweled Blitz is simple enough. 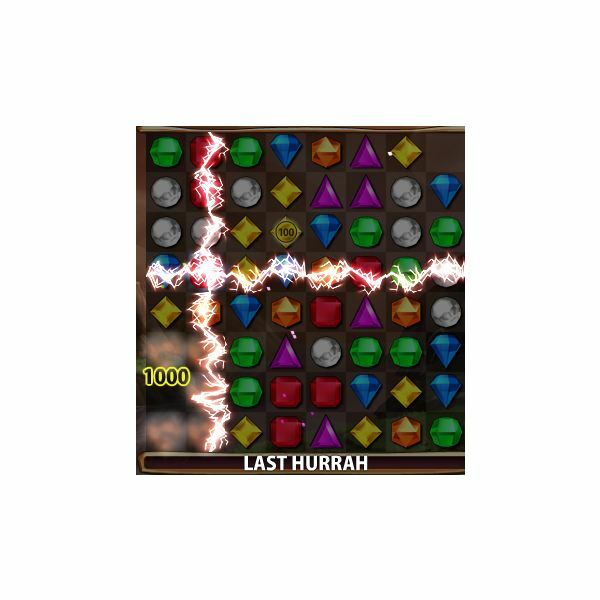 There are a bunch of colour coded gems on a board, you can choose one gem and move it up, down, left or right. If this creates a row of three or more of the same gem, the move will be completed and the row disappears. Everything above the row drops down and new gems drop from the top of the board. If no rows are created the gems go back to their original places and you hear a little ‘dunk’ sound telling you that your move didn’t work. The more rows you make disappear the more points you get. Unlike Bejeweled 2 you only have one minute of play time per game. Every week the scores are reset and you start at zero again. The game itself is addictive but what makes it more addictive is competing against your friends. My wife and I are constantly goading each other about Bejeweled Blitz. Whether PVP’ing in WoW, console gaming or playing Bejeweled Blitz, competing against your friends always brings a whole new aspect to a game. A list of your friends who play Bejeweled Blitz shows up on the right of the game board along with their high scores for the week. Bejeweled Blitz also has medals you obtain by scoring multiples of 25000. There is a different medal for each interval. The game keeps track of how many times you get each type of medal. You can see how many times you, or any of your friends, have received a medal by clicking on the yellow stars in the friends list. 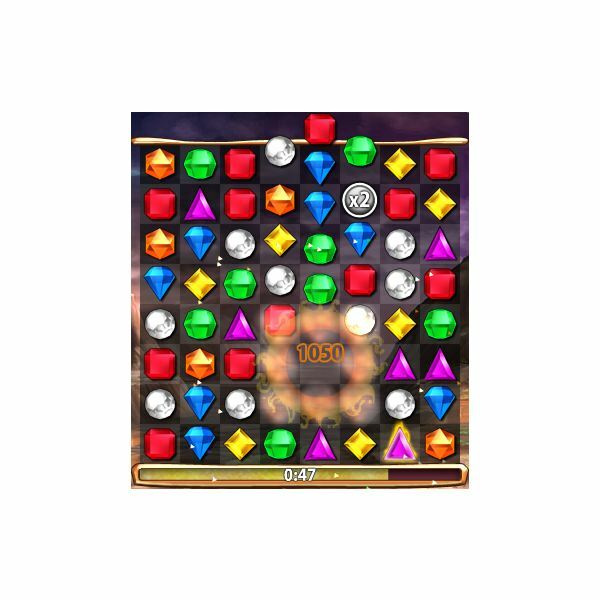 Another fun aspect of Bejeweled Blitz is “Jewel Jab”. You can use this to post Bejeweled Blitz smack talk on the wall of anyone on your list by clicking on the blue diamond next to your friend’s name. 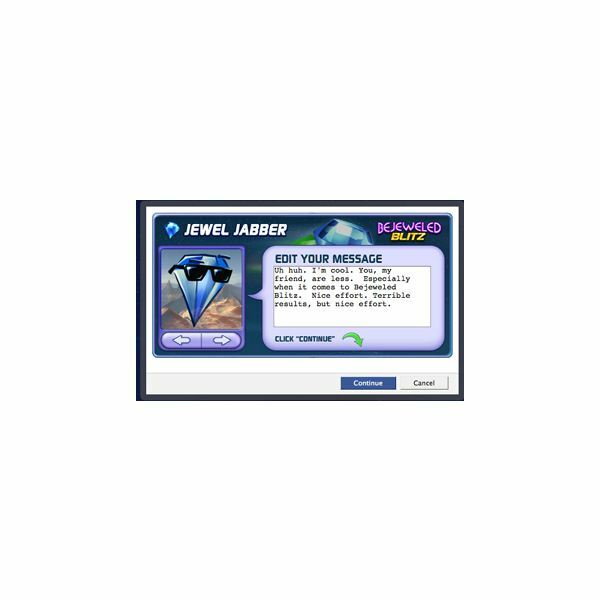 It opens a little message box called the Jewel Jabber where you can post either a personalized message or one of the pre-written messages on your friends wall with a playful cartoon gem. You can also choose which cartoon you want to send as a part of your smack talk message by using the arrows below the picture of the gem on the right. Gem”, known as the “Power Gem” in previous additions of the game . When you create a row of three using the Flame Gem, it blows up some of the gems surrounding the row. colour of gem on the playing board will blow up. You get points for each of them, so try and choose a gem with a lot of pieces on the board. Sometimes a “Multiplier Gem” will drop onto the game board. These drastically help you get a higher score, especially if you can get three or four of them in one game. Once you make a row with the multiplier gem, the points you receive from any future moves will be doubled. If you get another, the points will triple, and so on. Two new bonuses were introduced, when the game came out of beta a couple of months ago, that drastically change the dynamic of the game. second way is to create a star shape. This means that you will have a middle gem with the gems above, below, left and right all of the same colour. This can only be done in a cascade. Once you have created a Star Gem, you can set it off by creating a row of three with it. 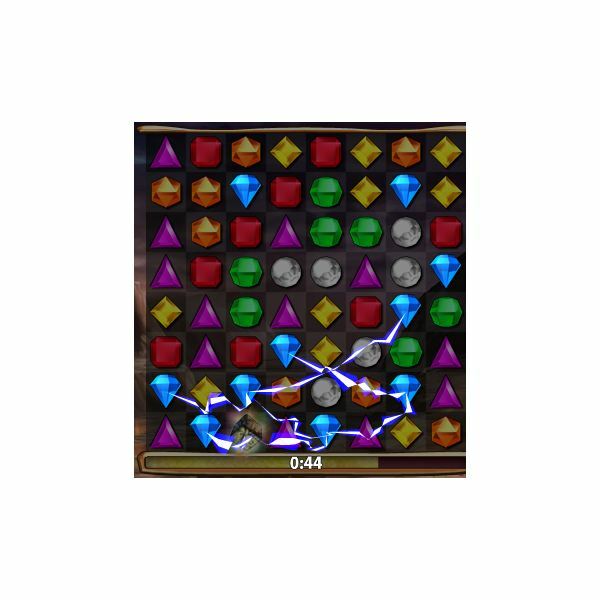 Once a row is created it will shoot out a bolt of electricity, destroying all the gems in the horizontal row and vertical column that the Star Gem occupies. 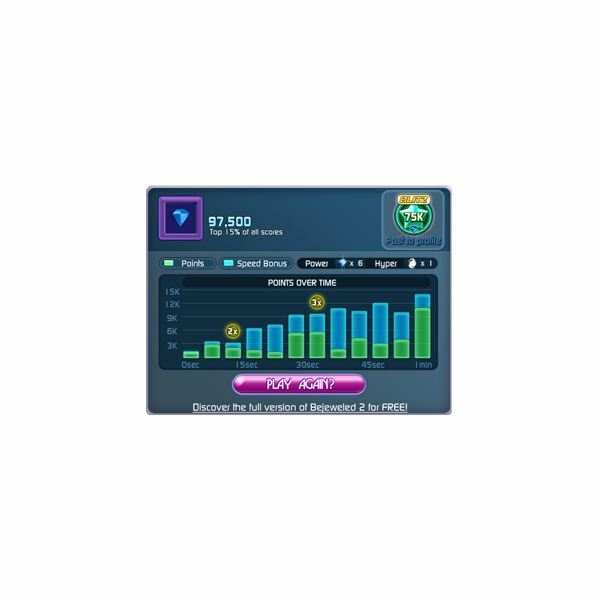 Check out Part two in this series to learn about more of the new bonuses in Bejeweled Blitz and a list of tips and tricks to get you to a higher score. This is a beginners guide to geting a high score on Bejeweled Blitz on Facebook. It covers how to play the game, and all the moves you will need to get to the top of the leaderboard.